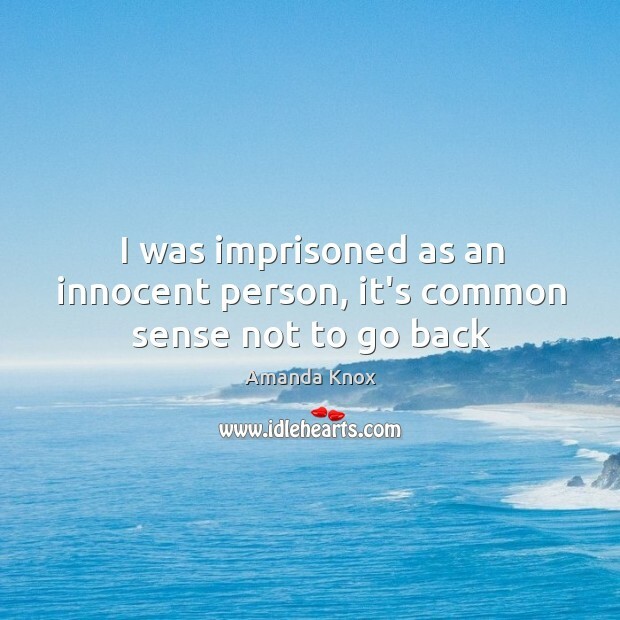 Enjoy the best inspirational, motivational, positive, funny and famous quotes by Amanda Knox. Use words and picture quotations to push forward and inspire you keep going in life! 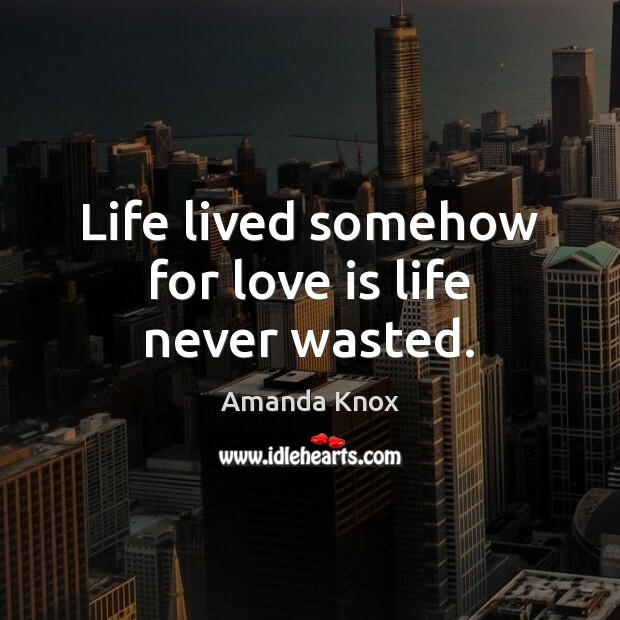 Life lived somehow for love is life never wasted. The eyes, it is said, are windows to the soul. They are not. 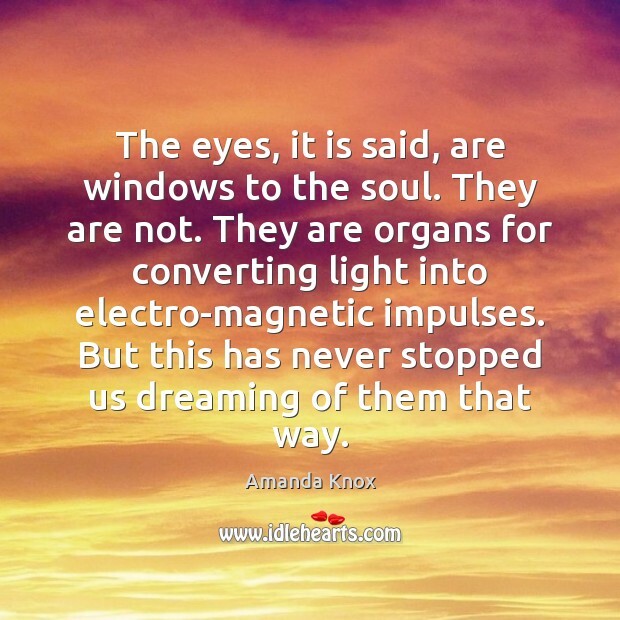 They are organs for converting light into electro-magnetic impulses. But this has never stopped us dreaming of them that way. 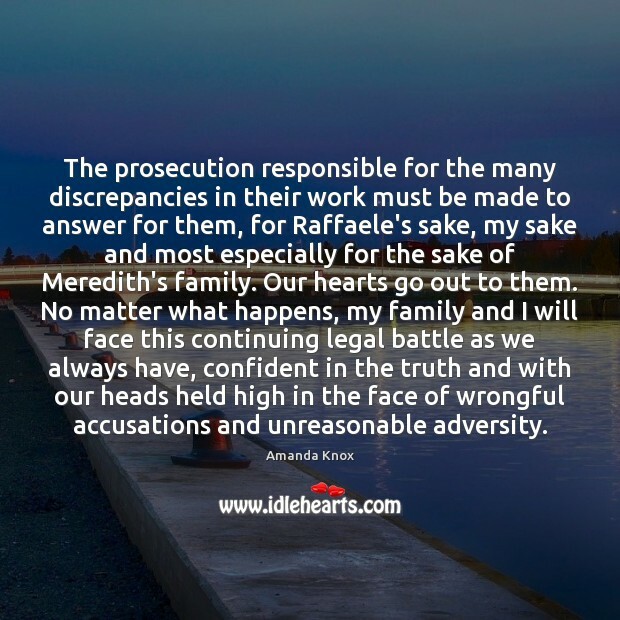 The prosecution responsible for the many discrepancies in their work must be made to answer for them, for Raffaele's sake, my sake and most especially for the sake of Meredith's family. Our hearts go out to them. No matter what happens, my family and I will face this continuing legal battle as we always have, confident in the truth and with our heads held high in the face of wrongful accusations and unreasonable adversity.